The quality of Yorkshire Dales Meat Company’s Gammon and Bacon is down to the selection of only the leanest pork cuts available and specific preparation processes that the products undergo. Good, lean bacon that is consistent in quality is what our customers are looking for. The European markets supply us with the best source for this product whilst also giving excellent value. 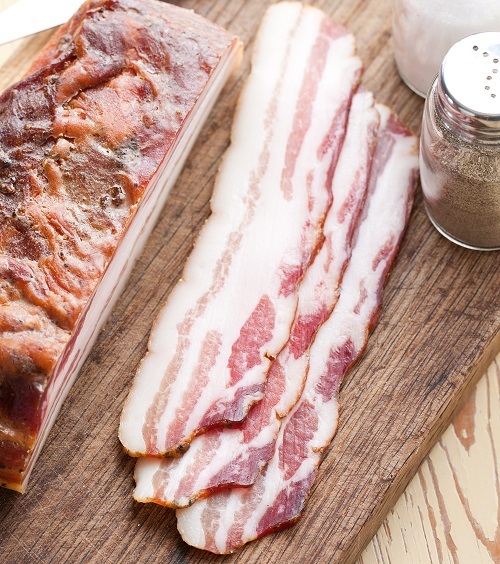 We can therefore offer customers a range of European bacon cured in a variety of ways. In addition to European bacon, we also offer UK bacon and chops, including our own speciality dry cured bacon, sliced and cured at Mill Close Farm. Please see below for the range of Gammon and Bacon products which we offer.